How cold is it? It’s so cold that the optician was giving away free ice scrapers with every new pair of eyeglasses... it’s so cold that a diner chipped a tooth on his soup....it’s so cold that the politicians have their hands in their own pockets. 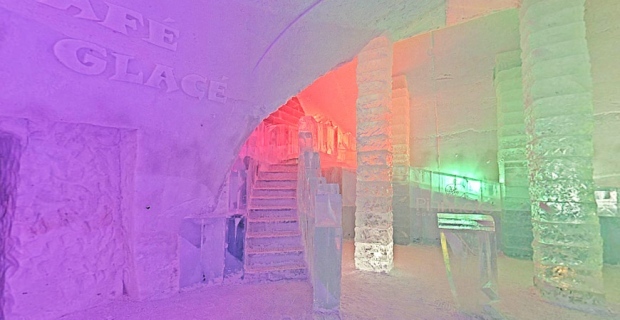 Joking aside: it’s so cold that the Quebec City Ice Hotel is opening early this year. The 30,000 square foot structure was slated to kick off its 14th year next week but is now set to launch this weekend. Last year the frozen hotel received a record number of guests with 5,250 chilling out at the inn. Frescoes reflecting the theme of world myths and legends will be featured this year, according to brass, who were able to finish the work earlier due to the cold climes. The hotel offers snowshoe trails and inner tube slides to people who are not staying at the hotel. About 100,000 visitors are expected and 18 weddings have already been booked for the winter.